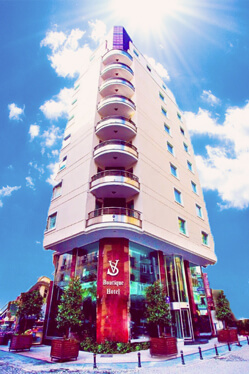 SV Business Hotel aims to offer guests the highest level of comfort and boutique service approach. Our hotel is located in Taksim Square and just one minute walk to the vibrant shopping and nightlife of Istiklal Street. SV Business Hotel is close to Taksim Square, Dolmabahce Palace, Lutfi Kirdar Convention Center, Luxury Shopping Nisantasi and Galata Tower. Also nearby are Maiden’s Tower, Blue Mosque, Topkapi Palace, Grand and Spice Bazaar. If you get more information about location and attraction distance, please click here to visit related web page. Multilingual staff can provide tour/ticket assistance. Free papers are available in the lobby area so you can keep up with all the local news. SV Business Hotels Taksim Istanbul is also close to the metro station at Taksim Square, allowing guests easy access to the rest of Istanbul’s many attractions. The hotel is a lovely place, very modern and stylish. I recommend this place, will most possibly stay here again next time we return to Istanbul. My wife and I stayed in this hotel for 9 night. First of location of the hotel is very close to taksim sq. (about 3 min walk) and in Istanbul it is a important matter mainly for access to public transportation and of course lovely istiklal street. I chose SV Boutique for my business trips to istanbul. The interior design is beautiful. Staff are perfectly wellcoming. Service is good. Especially the neighbourhood is central and safe! We've choosen this hotel during our visit to istanbul. The design of rooms is beautiful and it was clean. We liked the location of the hotel. It's just a few minutes away from Taksim square and Istiklal avenue. Excellent location; easy to access the main attractions of Taksim area. Modern, clean rooms, cozy interior design; gentle, very courteous and friendly employees. This is one of the best hotels i have been in istanbul , taksim area . 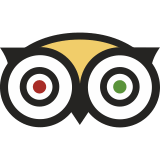 staff are really professional and friendly , i could ask them many questions about istanbul and they would passionly answer all of my questions .